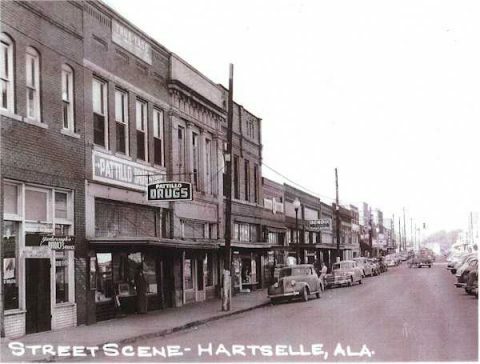 The City of Hartselle is comparatively young as towns go, having been established in 1870 as a site considered strategic alongside the South and North Alabama Railroad. Originally the budding village was located a half-mile north of the present downtown area; it had to pick itself up and move at the railroad’s request because the slopes of the old site made it impractical as a train stop and station. 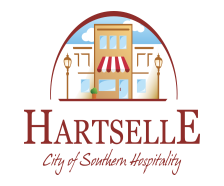 Hartselle was named for George Hartselle, a founding father, and there are still some of his descendants in town. The town was recognized by the Post Office by the establishment of a postal facility in 1873, but was not chartered by the state until March 1875. A religious revival headed by Dr. S.L. Rountree in 1872 helped organize the Methodist Church; the Baptist Church and Presbyterian Church were organized in 1877; and the Christian Church in 1881. The first newspaper was published in 1876 and the first chartered bank was organized in 1904. Hartselle’s first school was located at the present site of F. E. Burleson Elementary School and was called the Union Male and Female College. The business district of the early town was, for the most part, laid out alongside the railroad (Railroad Street). in August 1916, Hartselle suffered a disastrous fire which wiped out the business district, all 21 buildings. The Community’s greatest claim to fame, or infamy, carne in the early morning hours of March 15, 1926. Fifteen dastardly criminals looted the Bank of Hartselle. That morning, eight blasts of nitroglycerin rocked the sleeping city. The town was held captive for almost four hours while thieves stripped the bank of all its cash and gold and some silver coins. 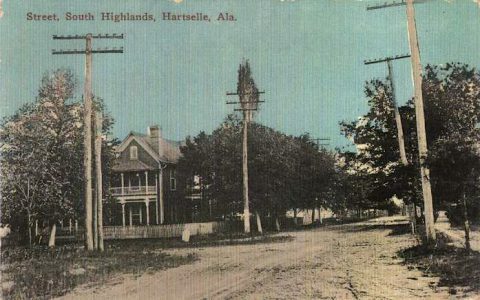 The robbers arrived in town about 1:00 a.m. and first went to the telephone exchange, using a hand saw to cut the three cables linking Hartselle with the outside world. Eventually, seven men would be bound and gagged and placed for safekeeping in the rear of the bank. The only injury was Dr. J.D. Johnston, a dentist, who was wounded in the leg when he burst out into the street thinking he was responding to a fire alarm. The haul for the villains was put at nearly $15,000.00, but the bank was insured against just such a loss and reopened for business the next day, with the help of other banks in town. Ironically, the bank enjoyed more business and depositors than it had before the robbery. The bandits were never identified or caught.